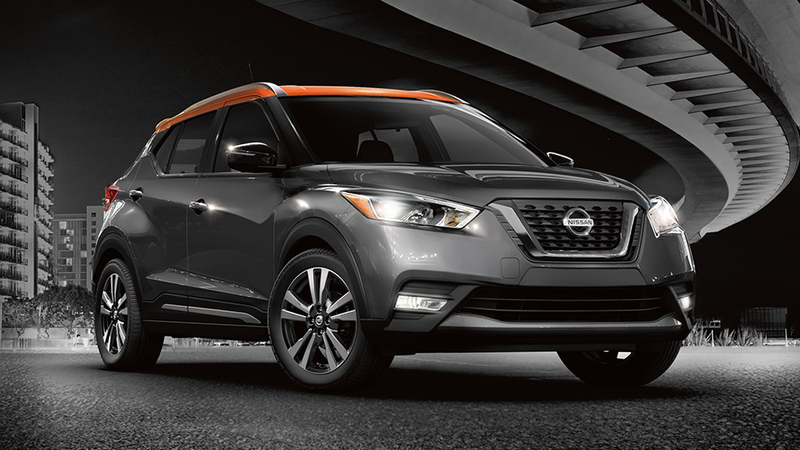 The 2019 Nissan Kicks captures your attention with fun, contemporary design and modern amenities for a four-door SUV. Find plenty of space with seating for five. Choose between the S, SV and SR trim levels. Sharp angles capture your attention on the 2019 Nissan Kicks. Bold design is evident in the contrasting roof which draws your attention to the muscular curves and multiple body colours for easy customization. Available power heated mirrors showcase the functional side of this model. Enhanced security comes from headlights that linger on even after you get out of the vehicle at night. Start your journey with the push button start or choose the optional remote engine start to warm up the cabin on cold mornings before you leave the comfort of your home. 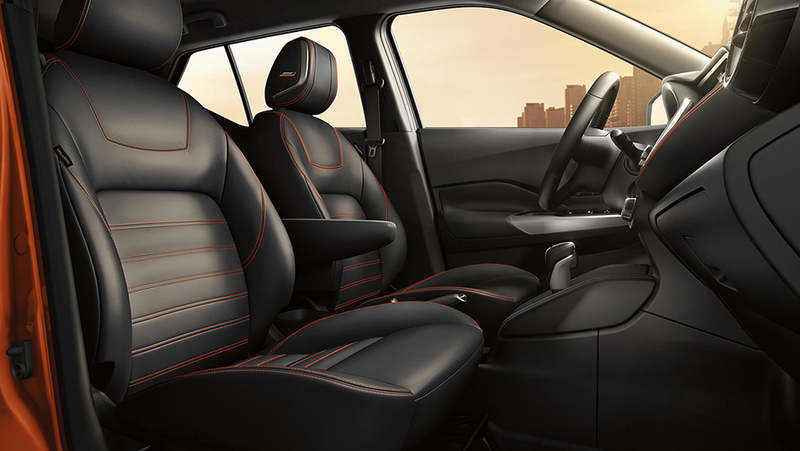 An adjustable driver seat gives you a luxurious ride in the 2019 Nissan Kicks while Prima-Tex leather adds a touch of indulgence. Available heated front seats keep you warm on cold days. 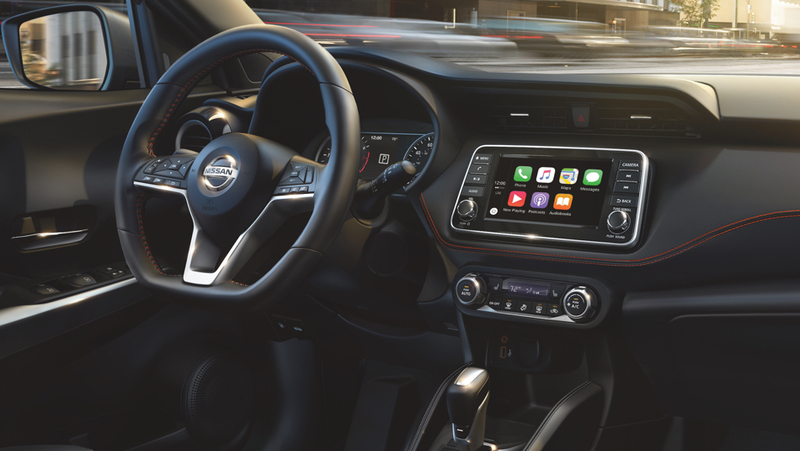 Turn up those tunes on the 2019 Nissan Kicks with the optional Bose Personal Plus sound system, which includes headrest speakers. USB charging ports let you connect your device while Bluetooth streaming expands your entertainment. Track your vehicle’s performance quickly with the 7-inch drive assist display. Expand the versatility of the 2019 Nissan Kicks with genuine Nissan accessories that are factory installed. Add a rear roof spoiler to increase the athleticism of this model while splash guards and trunk protectors keep your vehicle looking like new. Feel the peppy performance of the 2019 Nissan Kicks with the 1.6L engine. An Xtronic CVT provides fast response and more control. With dynamic drive technology, you can enjoy agility and stability. 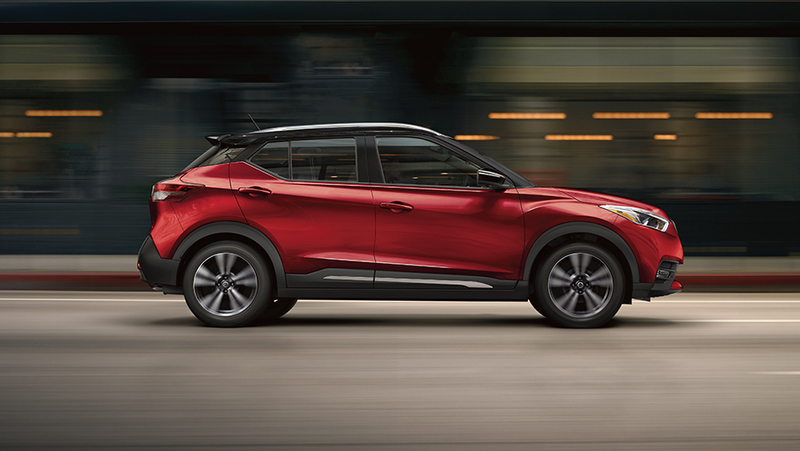 Safety and design make the 2019 Nissan Kicks an exceptional choice. Advanced safety features on the 2019 Nissan Kicks make each journey more pleasurable. Every 2019 Nissan Kicks is backed by the outstanding Nissan warranty. Kick your style up a notch with the 2019 Nissan Kicks. This SUV offers modern style and comfort while never forgetting about efficiency and safety. Trust the SUV to get you where you need to go while turning heads along the way. Discover the 2019 Nissan Kicks and find out how it fits your lifestyle when you visit Cochrane Nissan. Come into your local Cochrane Nissan Dealer – Cochrane Nissan and let the sales team help you decide which model is right for your family. We make car buying fun and easy.